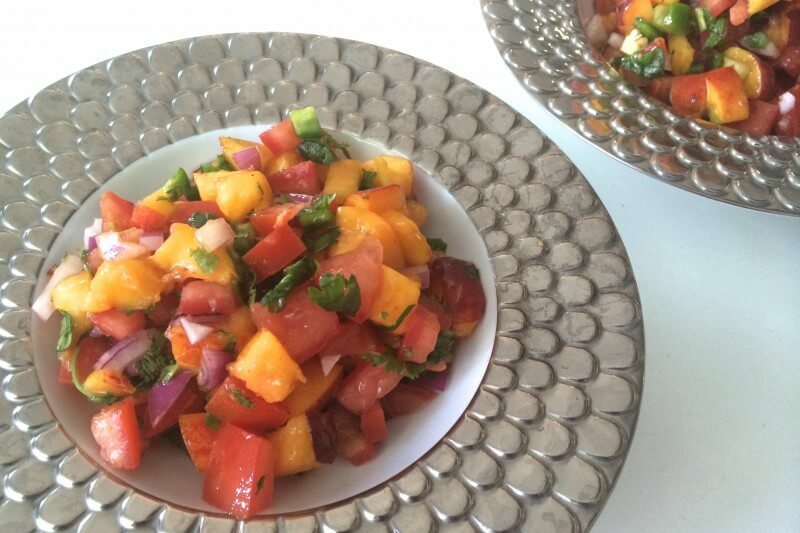 Summer is stone-fruit season, and a perfect time to whip up this quick and easy peach salsa. This salsa is versatile. You can use it as a dip for gluten-free cassava tortilla chips, put it on top of seafood (I love it on baked wild salmon), or you could even put it on top of a green salad. If you’re barbecuing, you could even grill the peaches first before chopping and adding to the salsa. Put all ingredients in a bowl, and adjust lime juice and salt to taste.